Yesterday I walked around and shot for a bit at the annual Okinawa City Bike Fest. It was pretty quite this year and not that many people but I managed to snap a few worth keeping. 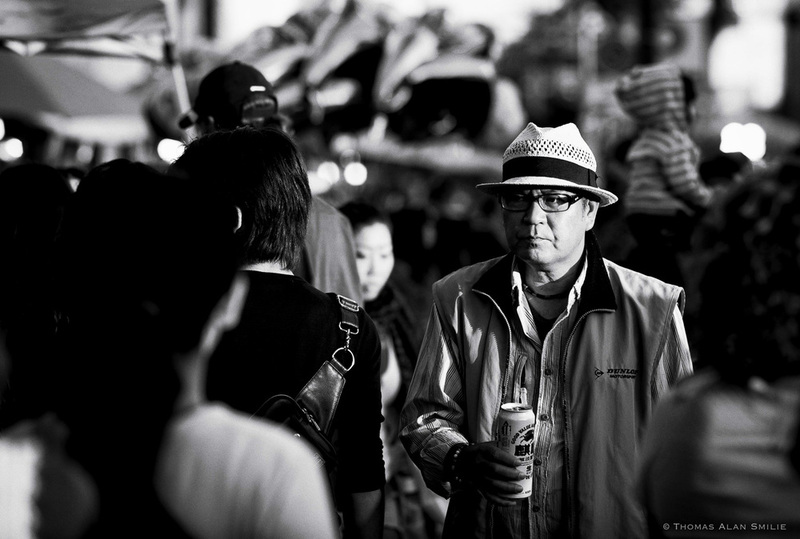 This guy caught my eye with his hat and beer in hand. Loved how the light isolating him in the crowd. Gate 2 Street in Okinawa, Japan.